At the end of October MCM London returned for the second outing of the year, and this time there was a massive focus on the comic side of comic cons that other events often forget. ReedPop, who run major events such as New York Comic Con and C2E2 over in the States, bought MCM in October last year. The changes from the buyout have been gradual, but this October you could really see the ReedPop stamp and influence throughout the show floor. As well as guests such as Paul Bettany, Veronica Taylor and the casts of Shadowhunters and Critical Role, some of the legends in the comic book industry were also present. Names including Frank Miller, Chris Claremont, John Romita Jr. and many more came over to the UK to meet their fans. The convention had a spate of bad luck with some of their big guests such as Dave Bautista having to cancel at last minute, but there was still plenty on offer for attendees to enjoy. The Comic Village was bigger than ever, and the guests were a mixture of Village regulars and up and coming new talent. The demand for the comic book guests was clear, with commission lists filling up fast and queues tailing around multiple corners with attendees trying to get the chance to meet their favourite creators. The panels featured a vast range of topics to suit everyone’s tastes. The reception to the Critical Role guests was so massive that their panel had to be moved from the Live Stage to the Main Stage due to popular demand. There was an early screening of the first episode of season 4 of Outlander, as well as a panel with an extended look at Spider-Man: Into the Spiderverse. The Dark Knight panel with eight comic book legends on stage was packed out. 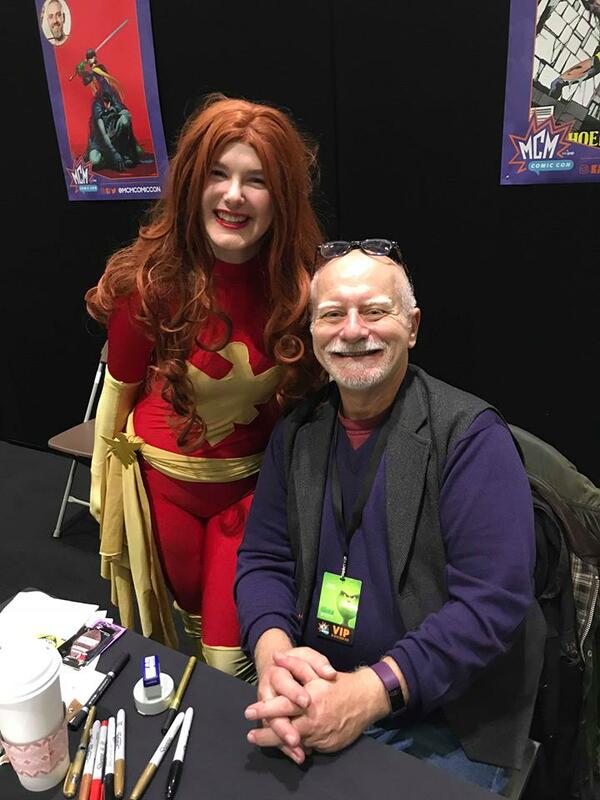 New this year was the Comic Stage, which saw panels such as “X-Men Over The Years”, a talk with Chris Claremont, panels with talent from DC and many more. A major selling point of MCM compared to some other conventions is that fact that all of their panels are free. Once you have bought your ticket, everything else is included in the price. On the other hand, a major negative was the fact that the main hall was not cleared between each panel. With the popularity of the guests increasing, people were camping out in the panel rooms up until they got to the panel they wanted to see, meaning those hoping to attend the smaller panels in between often found themselves missing out. Just like their sister conventions over in the US, the London convention has started to produce their own convention-exclusive merchandise. Funko had a big area with huge queues all weekend, as well as companies such as Hasbro and Build a Bear offering products only available at the show itself. In addition to this, there was entertainment in the form of the return of the Silver Sabres group, as well as the UK Garrison and Rebel Legion being in attendance. There was the usual array of wonderful cosplayers gathered both outside and inside the Excel. The cosplay area provided numerous tools and fixes for those last minute convention repairs. There are always multiple competitions and masquerades throughout the weekend, but the October convention saw the first London qualifier for the Global Championship of Cosplay held at C2E2. MCM runs multiple events throughout the year all over the UK, and they will return to host their final convention of the year with MCM Birmingham at the NEC from November 23rd-25th.